These pages have all the latest balance transfer articles related to UK balance transfers. Here at Balance Transfer Expert we are continually adding to these balance transfer articles to help your understanding of the UK balance transfer credit card market. What are the best balance transfer credit cards 2019? In what is a very competitive UK credit card market, the 0% balance transfer offers and promotional deals are constantly changing. Back i n 2017 the best balance transfer credit cards in the UK kept increasing their 0% offers throughout the year. The longest balance transfer offers, were as long as 0% for 43 months then. 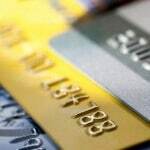 Are there any no fee balance transfer credit cards available in the UK credit card market in 2019? Over the last couple of years no fee balance transfer credit cards have become an extremely rare occurrence. 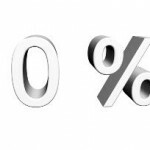 Introductory 0% balance transfer offers have got longer and longer in recent years. As a result, more and more of the credit card companies have now imposed balance transfer fees. This has reduced the number of no fee balance transfer credit cards. How are balance transfers explained? 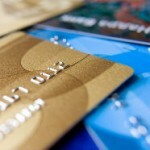 How are balance transfer credit cards explained? Here at Balance Transfer Expert we aim to explain all about balance transfers and balance transfer credit cards in as plain and simple language as we can. Balance transfers have become more and more popular over recent years with UK credit card customers looking to save money. What are the 0% balance transfer credit cards that will allow a high credit limit balance transfer? A high credit limit balance transfer occurs when a customer is looking to make a large balance transfer from one credit card to another. The UK credit card market has a very wide range of balance transfer offers available now. 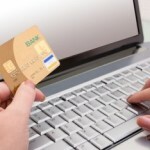 Currently there are over 85 credit cards available online that have 0% balance transfer deals and offers. The number of available deals is down from the more than 110 cards available at the start of 2017. What are the current Marbles balance transfer options for UK customers with a Marbles credit card? 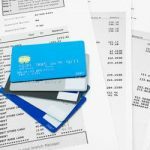 Here at Balance Transfer Expert recently, we have seen many Marbles credit card customers looking for answers on the topic of making a Marbles balance transfer. BalanceTransferExpert.co.uk is a credit broker and not a lender. We provide visitors to this website, with a free to the user, comparison service of every 0% balance transfer credit card currently available online in the UK. We may receive commissions from some of the credit card companies that we refer users to. Read more about how this site works. The balance transfer credit card information on this site is updated on a daily basis. Whilst we make every effort to ensure that the information is up to date, you should always confirm the terms of the balance transfer credit card offer with the credit card provider. Interest rates and credit limits may vary depending on your financial circumstances. Balance Transfer Expert is a trading name of Ascend Online Media Limited. Registered Office: Blue Square House, 272 Bath Street, Glasgow, G2 4JR, UK. Ascend Online Media Limited is authorised and regulated by the Financial Conduct Authority with permission as a credit broker, firm reference number 737979.